A pregnant West Belfast woman diagnosed with terminal pancreatic cancer is battling every day to keep alive her unborn baby as she awaits pioneering treatment in a specialist cancer clinic. Currently 33-year-old mother-of-one Margaretlee Hilton from Kerrykeel Gardens in Lenadoon is 16 weeks pregnant. She was diagnosed with stage four cancer in April during surgery to remove her gallbladder after she had been complaining of chronic stomach and back pain. Since her diagnosis the family have set up a gofundme.com page that has so far raised over £37,000 towards vital treatment for Margaretlee. Speaking to the Andersonstown News, Margaretlee’s brother David said the family have been “overwhelmed” by the generosity of the community with donations coming in as far away as Bermuda. “Margaretlee has been admitted to the oncology unit in the City Hospital today (Wednesday) as her potassium levels are so low, over the last few days she has been dreadfully sick,” he said. “The chemotherapy is knocking the life out of her, she isn’t eating and is constantly vomiting but she needs to get her potassium levels back up. David explained how 19 months ago Margaretlee and the family endured heartache when she delivered a stillborn daughter, Sophia. “The nurses that night said they were lucky they had saved Margaretlee. I remember coming home to the devastation of what was there as just a day before I had been putting the baby’s pram together. Margaretlee, her daughter Amy and partner Dee had moved in with us as they were between houses at the time. David said when the family received the news about Margaretlee’s cancer diagnosis it was hard to take in. As the devastating news began to sink in, David said it was around this time the family began to do their own research into what other cancer clinics outside of Ireland could offer. The Hilton family hope that one of the clinics they have researched can at least offer Margaretlee a chance to prolong her life so she can share time with her newborn baby. 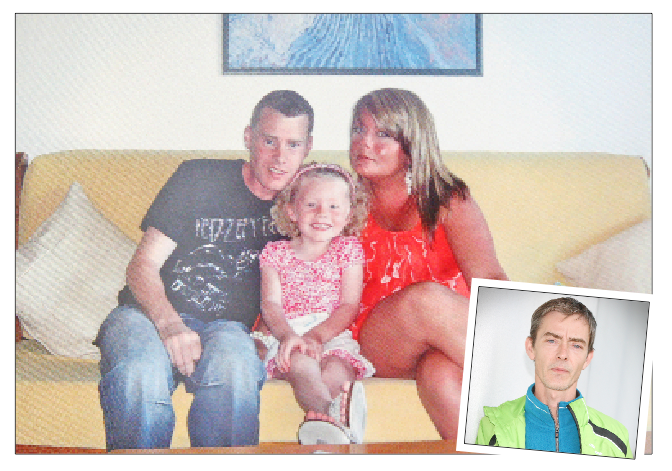 David said the family are supporting Margaretlee as she battles to reach the 28th week in her pregnancy. “The doctors can then perform an emergency C-section and the baby will be here and then Margaretlee can, hopefully, travel for treatment. David spoke of how the family are taking each day as it comes. “We are deciding where is the best place for Margaretlee to go to. We need to send off her latest MRI scans and blood reports so that these clinics can make their own assessment. “We are trying to keep an upbeat mood at home, you can’t bring negavity into the house as that would just be detrimental to Margaretlee. You just have to bite your tongue. I was looking at her this morning and she just looked like a pale wee shadow of my sister.